Wuxi (China), March 23, 2018 – Today Bühler opened its new battery lab, further leveraging its technology leadership in the production of high-performing electrode slurries. China is witnessing a high demand for electrode slurry plant projects, thanks to ambitious government plans to electrify the automotive sector. The first trials in the new laboratory with Chinese and European customers are already scheduled. 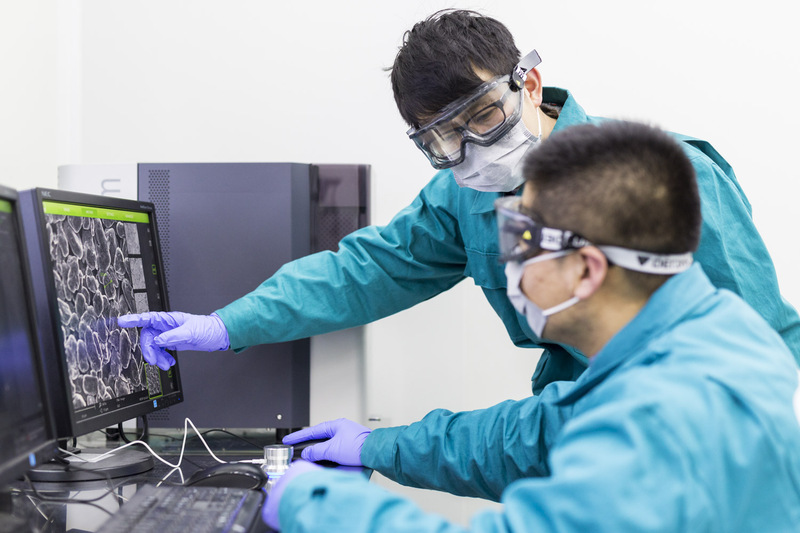 In view of the rising demand for lithium-ion battery production, Bühler has built a completely new and extended lab in Wuxi to meet customers’ expectations for concept trials, formulation and process optimization. “This new battery lab features the latest applications and will allow us to strengthen our cooperation with our customers”, says Samuel Schär, CEO Advanced Materials at Bühler. The lab covering 400 square meters is installed in a large dry room, allowing to process and study battery raw materials which are susceptible to moisture. The heart of the lab is a Bühler continuous twin-screw mixer with multiple powder and liquid feeders. “We are using this technology to produce battery samples on a much better performance and consistency level than with conventional methods,” says Adrian Spillmann, Director Market Segment Battery Solutions. Three process engineers and a service engineer work in the battery lab in Wuxi. Thanks to its well-equipped analytical laboratory the produced samples can be evaluated within five minutes, speeding up innovation cycles in the industry. The first trials with Chinese and European customers are already scheduled. In order to meet the requirements of the lithium-ion battery industry, Bühler has developed a novel process for the fully continuous mixing of electrode slurries together with the Chinese battery manufacturer Lishen. 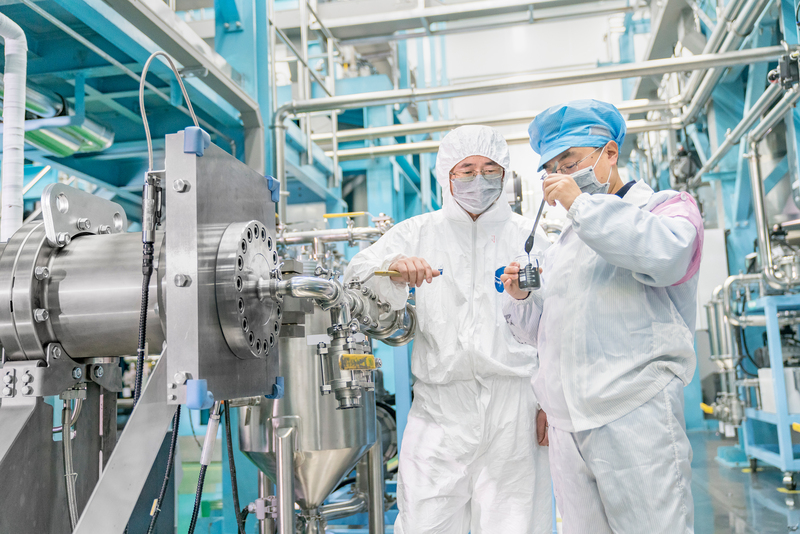 In total, Bühler has equipped ten industrial-scale production lines for its Chinese partner who aims to be at the forefront of the Chinese battery industry. "This new factory of ours is producing a new generation of batteries. This 30% increase in energy density means we have achieved a quantum leap”, said Qin Xingcai, the President of Lishen when opening Lishen’s plant in Suzhou with Bühler technology in July 2017. By mid-2018, the installed Bühler capacity will amount to about 400’000 batteries for electric cars per year; most of the installations are in China. “China is the hotspot for battery production. 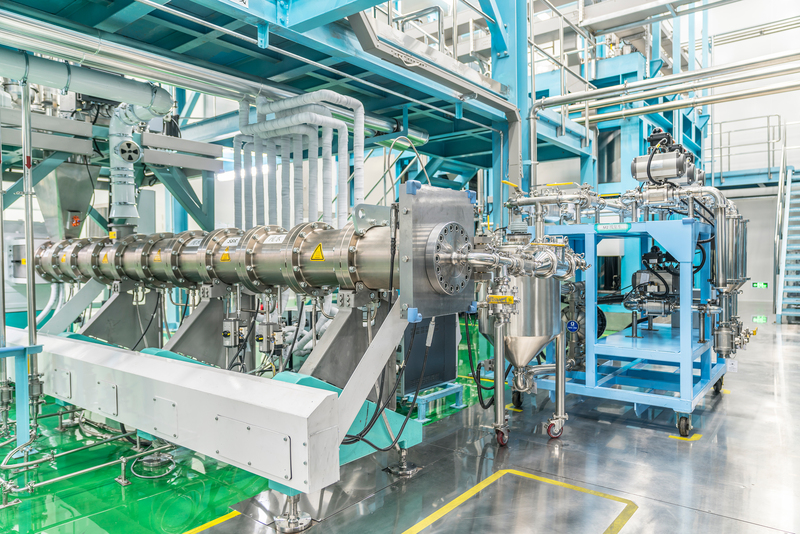 Today, the country has a capacity of around three giga factories, with more to come,” says Cornel Mendler, Head of the Grinding & Dispersing business at Bühler. Read more about the cooperation between Bühler and Lishen in Bühler’s annual report: https://annualreport2017.buhlergroup.com/customer-stories/lishen-am-asia/. This morning, a selected group of Bühler customers attended the opening of the battery lab in Wuxi. Amongst them were representatives of Bühler’s major customer Lishen and a leading battery scientist. Professor Xie Pingbo from the South China University of Technology cut the ribbon along with Bühler management and the head of the new battery lab. The following lab tour focused on Bühler’s extruder and its capability to adapt to fluids. Bühler battery experts readily answered upcoming questions and took up the opportunity to further discuss customer needs and future trials. The automotive power market is on the rise and represents the largest growth opportunity for lithium-ion batteries. In China, new energy vehicles are expected to take a notable share of the automotive market: 40% of all cars sold should be electrified by 2030. Another field of application is the intermediate storage of solar or wind energy. As a consequence, substantial market growth rates are forecast for lithium-ion batteries.